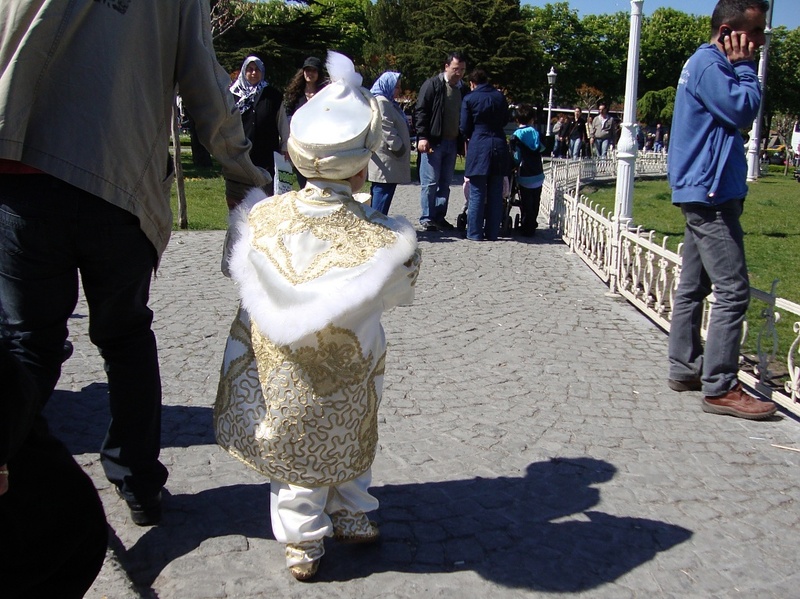 Little sultan is walking with his dad in the park in Istanbul. Maybe he is going to a birthday party. Lets say traditional. Parents make their sons wear to make'em feel happy.